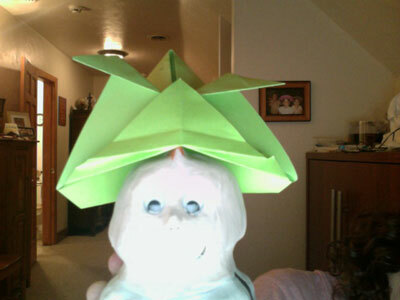 Here are origami samurai helmet photos that have been submitted by our readers. Check them out! 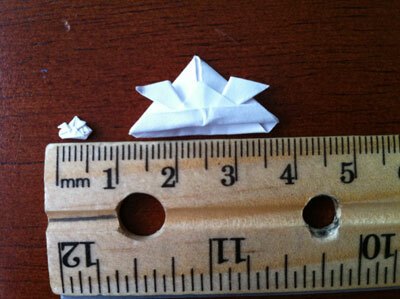 From reader in Cheybogan "This is a really small samurai helmet.I used a 1 by 1 in piece of paper." 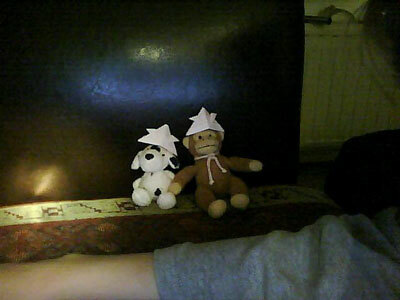 From Imre in Noord-brabant Netherlands "I too had 2 very reliable volunteers to model my origami." 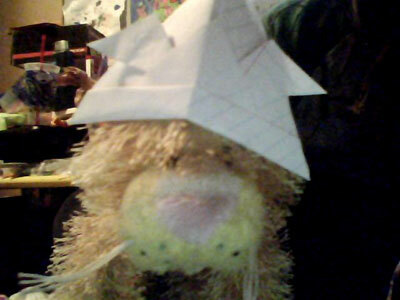 From Lizzie "Samuri Helmet: P i used a kitty person instead of a kitty." 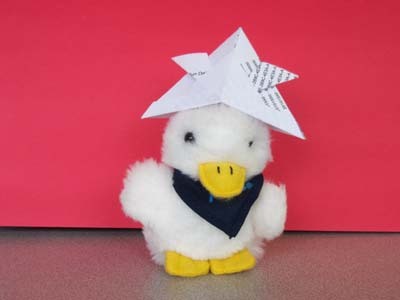 From Corey in Casper " I had to look hard to find a good model for my hat, lo and behold, I had the Aflac duck, perfect!" 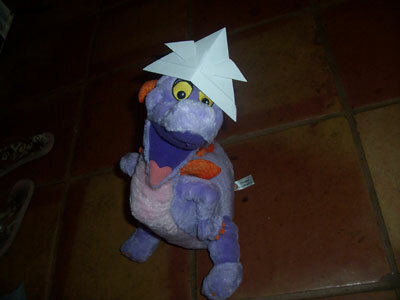 From Nathan " This oragami i made 1st time with my model, bearingtons! 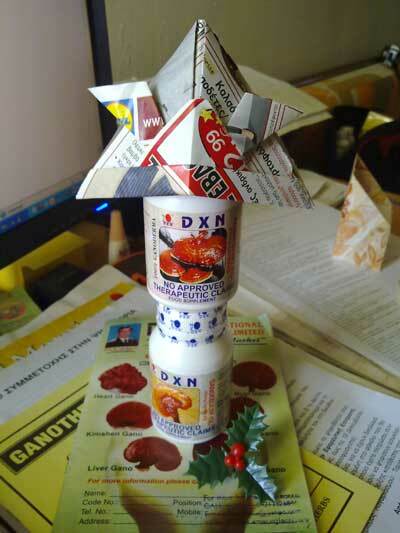 :p "
From reader in Adelaide " I made this gem a couple of weeks ago and it's really easy to create! 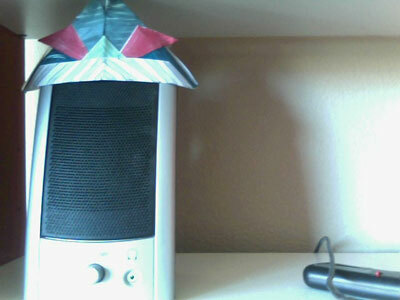 I highly recommend doing this with children, it's fun and you get to make a cool origami samurai helmet! " 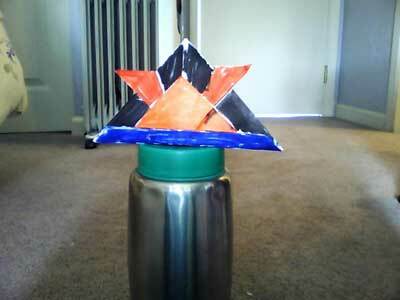 From Chloe in Beavercreek " I made the samurai helmet. My guinea pig Louie is my model! " 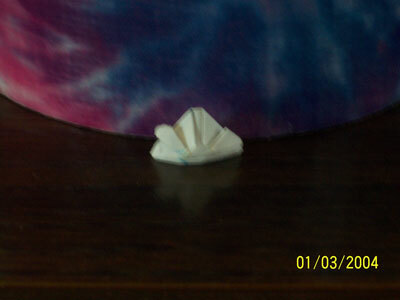 From reader in Bradenton "Kinda hard, but it was fun!" From A. in Gold Canyon " Don't mind the pico (dog). 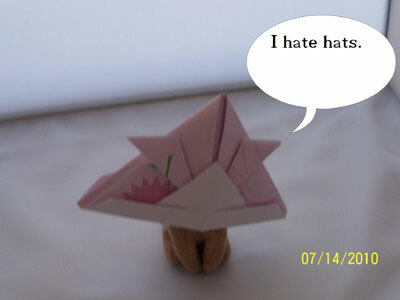 He just doesnt like thing that cover his head... "
From Cameron in Prince George " this is my smallest origami samurai helmet yet and i folded this from a 1 cm by 1 cm paper." 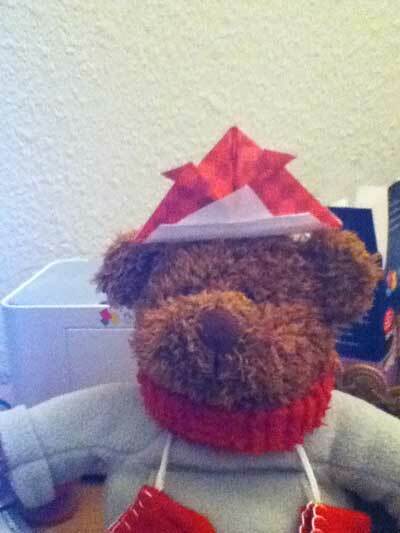 From Alana in Colorado " My webkinz looks adorable in this helmet! " 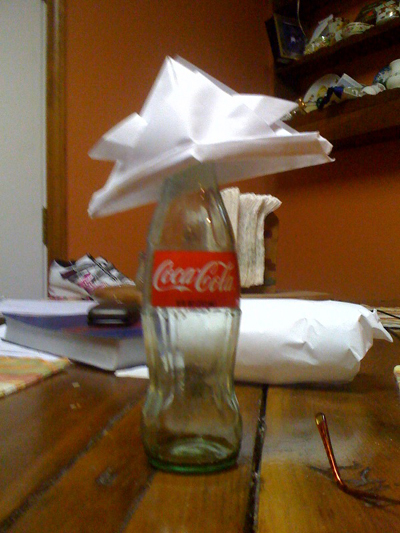 From Mady in Louville "I tried to use my cat, but it didn't go so well, at least a coke bottle stays still!!!! 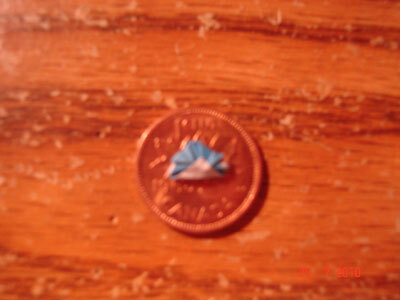 From Ian in Houston " origami samurai hat (sorry a little blurry) on a quarter." 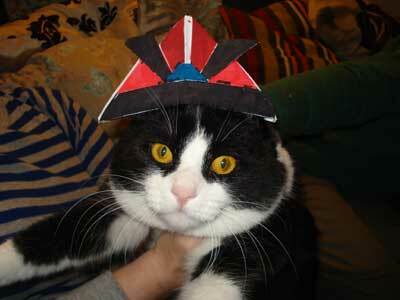 From Eric in Washington DC " My cat wearing a paper towel folded according to your "original samurai helmet" instructions. " 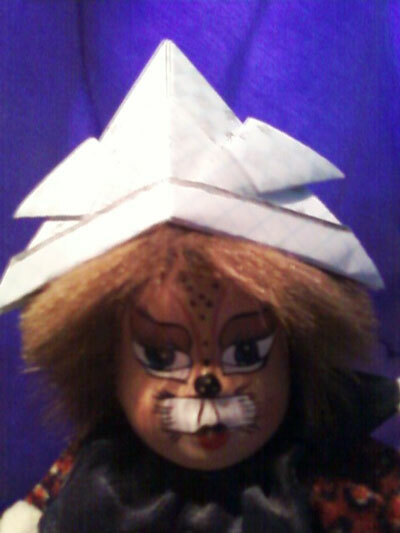 From Ray in Singapore " This is my origami samurai helmet.Thank you. " 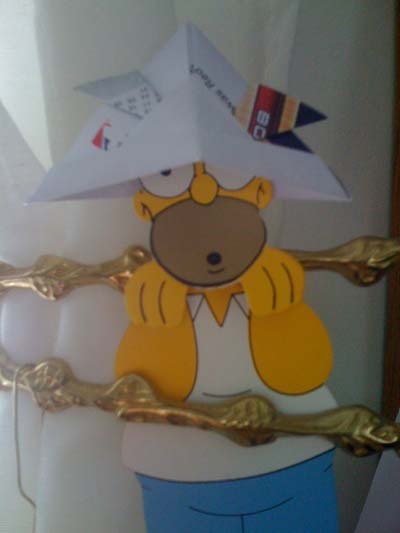 From reader in Richardson "Origami samurai helmet on a dime! 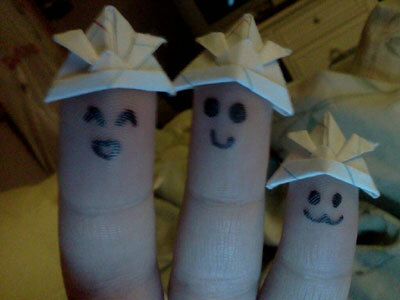 From reader in Richardson " three origami samurai helmets on a dime." 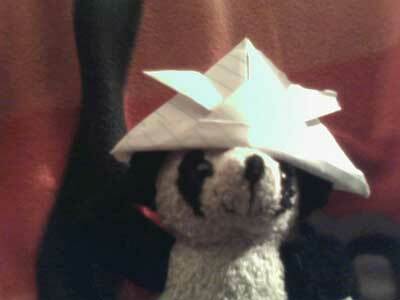 From Chase in Rockford "It's samurai panda." 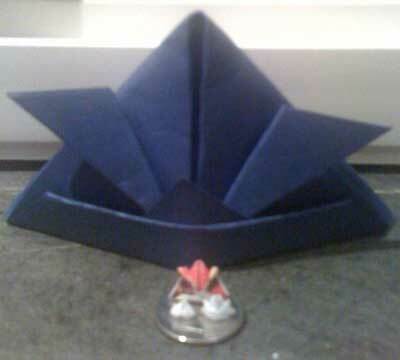 From Max in London " My first origami samurai hat!=D "
From Jonathan in Hermanus " origami Samurai Helmet 2MM wide thank you for the instructions ." 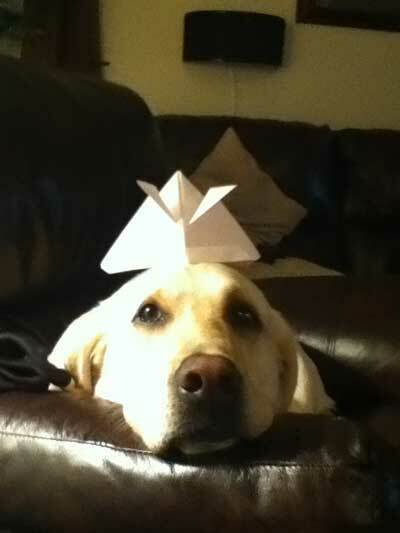 From reader in CA " I made this helmet for my dog Moose. Doesn't look like a weird warrior? " 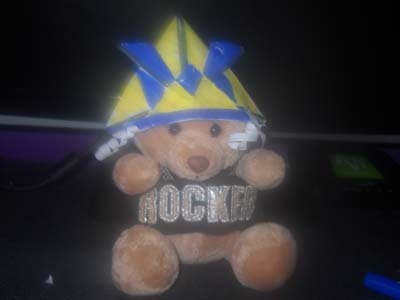 Moose makes a cute warrior! 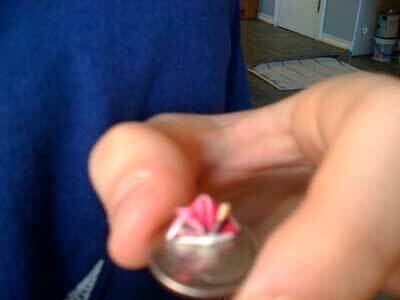 From Tanner in Steamboat Springs " had to use webcam so this is not the best picture. at any rate, really fun to make. " 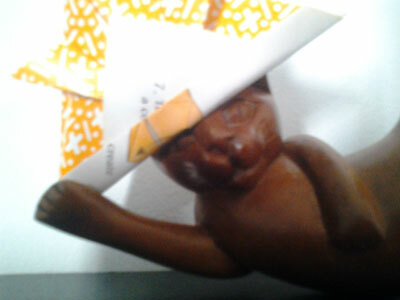 From O in Even City " this is so easy and i made the man out of clay! " 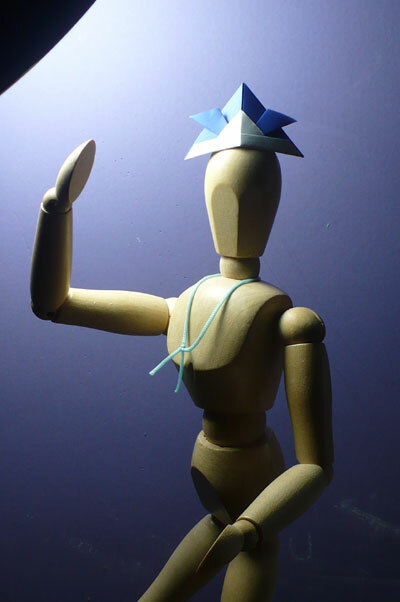 From Meghan in San Diego " Loved the instructions, made it really easy to make this origami hat! My music is really snazzy now. 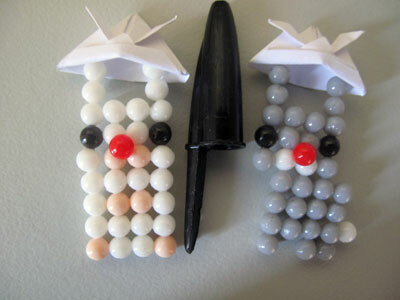 ;) "
From reader in Wilsonville " My smallest samurai hats i've ever made. 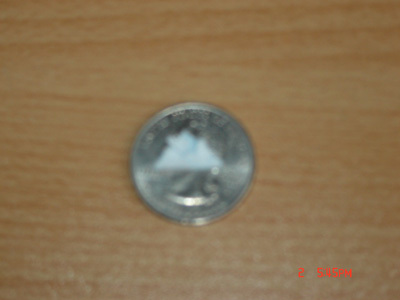 I made both without any tools, using only my fingers. 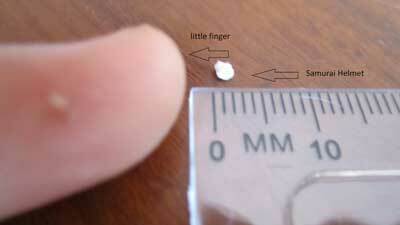 In case you can't see the ruler clearly or some other odd reason, the smallest one is only 5mm. 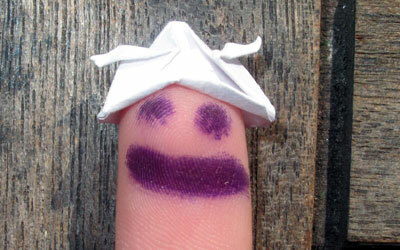 Thank you so much for this site, all my friends love it and i love the clear instructions. " From Ashlee in Martinez " Samurai helmets! I was only going to draw a face on one finger but when I realized you'd see more fingers in the picture, I did more :3 "
From Andrew in Raleigh " I used my sisters cat :D "